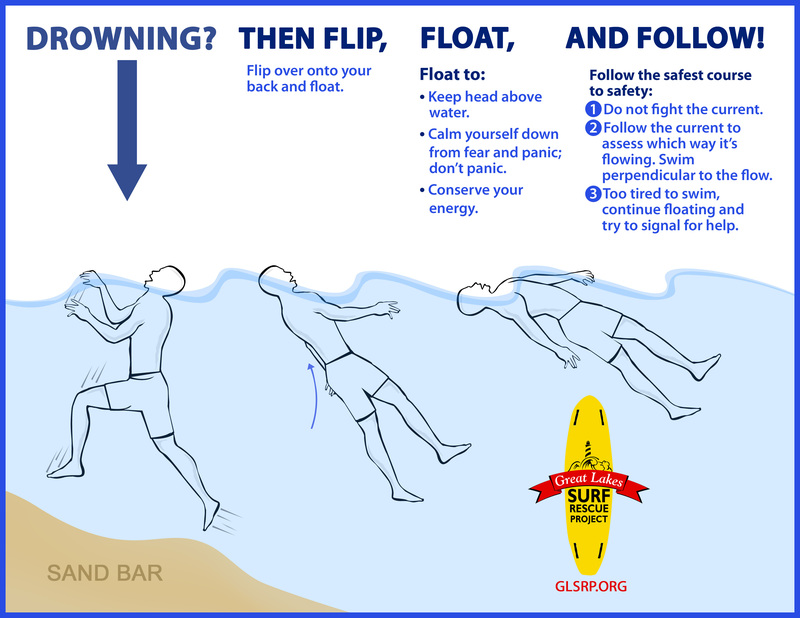 Great Lakes, USA – The Great Lakes Surf Rescue Project (GLSRP) debuts two of its new water safety illustrations: 1) The Signs of Drowning and 2) Flip, Float, and Follow. 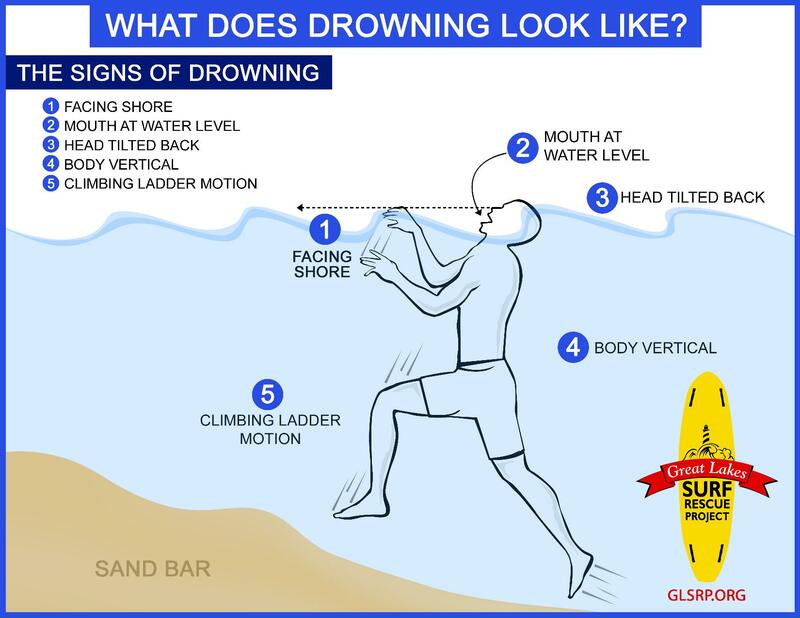 The Signs of Drowning, also known as the Instinctive Drowning Response by Francesco A. Pia, Ph.D., is what people do to avoid actual or perceived suffocation in the water. And it does not look like most people expect. 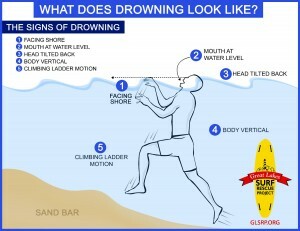 Unfortunately Hollywood has taught us what drowning doesn’t look like. 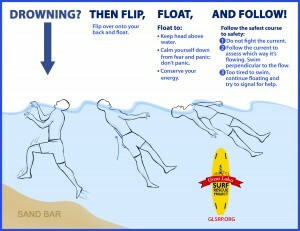 With actual drowning there is very little splashing, no waving, and no yelling or calls for help of any kind. –As long as you are floating, you are alive*.